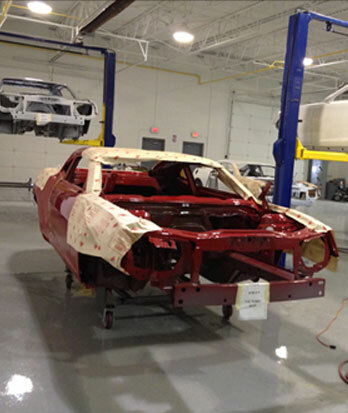 "When I came back to the States in '71 was the first time I had heard about the COPO Camaros. And of course they weren't making them anymore by then." Gutted by the fact that he couldn't have what he saw at the time as his dream car, Novak kept his eye out for any example out in the wild. "I ran into a kid driving one in Chicago in the early '70s," Novak said, with a fervor that makes it obvious he remembers every detail of the encounter. "I went up to the kid and said, 'Want to sell that car?' And the kid said, 'How much?'" Novak recalled with a chuckle. "I just said, 'How much do you want for it?' But the kid knew he had a rare car, so he said $20,000." Realizing just how much that was in early-'70s money, Novak had to let the chance go. "That was the only one I've seen in person. The rest I only saw in magazines, you know?" But the drag racing bug had already bitten Novak at that point. So despite not being able to do so in his dream car, he built a 1966 Nova and toured the Midwest with it, drag racing any weekend he could until 1979. "Then I had my two daughters," said Novak. "And that reprioritized things for me." Armed with an Automotive Service degree, he stayed involved in the automotive industry, working as a tech at various GM dealers around the country, and, of course, tinkering on a fair amount of GM project cars in his garage. In 2005, Novak and his wife moved to Arizona, where he worked as a Buick/GMC tech and planned to retire. That is until 2012. 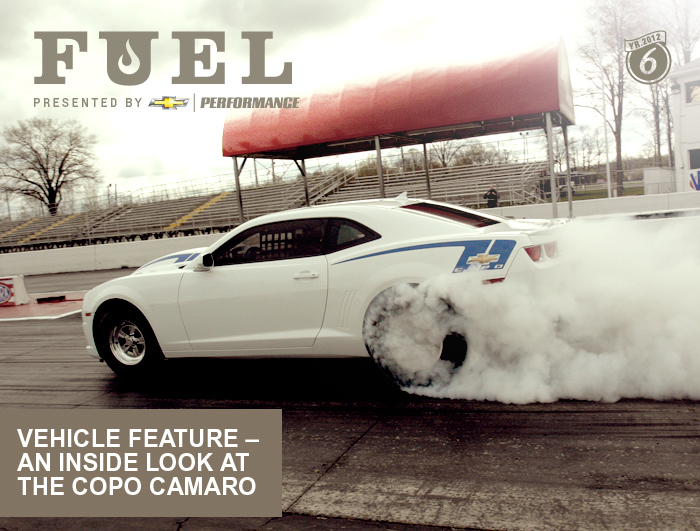 "Ever since I saw the new Camaro, I have been asking everyone I can at GM about a COPO revival," he told us. "I even chatted with one of GM's Vice Presidents, but no one would give me an answer." But his relocation to Arizona paid off when he went to a Barrett-Jackson auction in nearby Scottsdale in January of 2012. "The local Chevy dealership had their entire lineup on display in their booth," said Novak. "We originally went there to look at a Cruze for my wife. But once we got to the booth I saw it in the corner – the COPO concept." Despite it being roped off, Novak got as close to the car as he could. "I was looking underneath it and everything, trying to see as much as I could. My wife had to peel me off that car to go look at what else was at the auction," Novak said with a laugh. "I could've spent all day just looking at that car." When he found out there was a questionnaire to fill out to get more information, Novak said he couldn't wait to sign up. "I filled out everything I could," he said. "I told them I really wanted that car." And with that, all Novak could do was wait. "I never thought I would get picked for the car. Thousands of people must've signed up to have a chance to buy one, and there are only going to be 69 of them, you know?" So Novak went back to working at the dealership, talking about the car with his coworkers. "When I got the call, it was like winning the lottery," Novak recalled with a great excitement in his voice. "Dr. Jamie Meyer called me and said 'Would you like to buy one?' And I said, 'Do I have to pay for it right now?'" Novak had planned on retiring this year, but he has had to put that off for two more years. When asked what happened, he simply said: "I bought a COPO Camaro." As of this writing, the COPO isn't available (but at the time of publication, Novak will have his COPO, #17) which gives him time to make the last sacrifice in preparation of the car: his latest Nova project in the garage. "My wife said 'OK, you can get the car, but the Nova's out, and you have to clean the garage,'" said Novak. "But you should see the place now, man. I'm getting new floors, I have an all-new tool chest. It's looking good. It's ready."